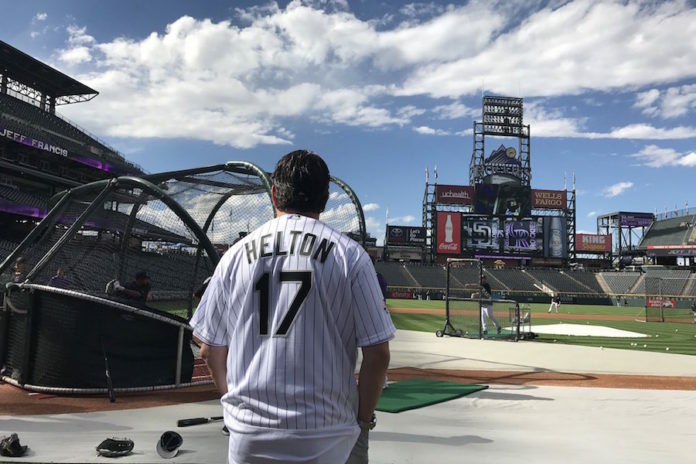 In 2007, the Colorado Rockies finished the regular season by winning 14 of 15 games to leap from fourth place in the NL West into what would eventually become their first and only World Series appearance. Mile High Sports celebrates the anniversary of ‘Rocktober’ by recapping each game from each of those days ten years ago. With a 1-0 lead, the Rockies looked to continue their four-game winning streak, while also winning their second game in a playoff series for the first time in franchise history. Despite shaky pitching from starter Franklin Morales, the Rockies did just that, outscoring the Phillies to secure the win. 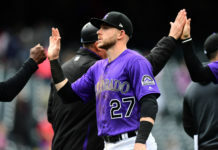 The Rockies started hot, getting back-to-back home runs from shortstop Troy Tulowitzki and left fielder Matt Holliday, to jump out to a 2-0 lead. Philadelphia answered back, with three runs combined in the first and second to retake the lead. Morales allowed three runs on three hits, including two bases-on-balls before being pulled in the top of the fourth for a pinch-hitter. After a double and a walk to get to Morales, the Rockies pinch-hit Seth Smith, who singled to load the bases. Philadelphia pulled starter Kyle Kendrick for reliever Kyle Lohse. Second baseman Kazuo Matsui, the first batter Lohse faced, hit a grand slam to regain the Rockies lead. The Rockies added four more runs in the sixth to secure the lead, and closer Manny Corpas closed out the game after facing five batters, but allowing no runs. The Rockies now had a 2-0 series lead, the first in the franchise’s history. The win was their fifth in a row, and the Rockies returned to Coors Field, looking to close out the Phillies with a sweep.